After his recent released great Rolls Royce N350NN ALPS livery with modified engine textures, with a complete modified fan blades and much more. I’m pleased to announce on behalf of Fabio (Fscabral), that he has made for those Flight Factor A350 painters an unofficial Adobe PS PSD paint-kit files. 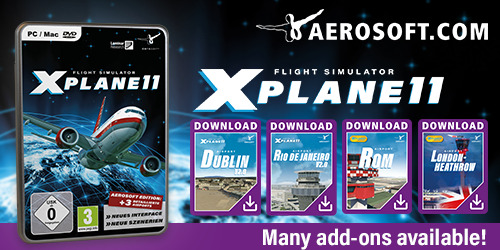 And Fabio created already for X-Plained and the X-Plane community many liveries for the FlyJSim Boeing 727 Series, the FlightFactor/StepToSky Boeing 767 Series, and other liveries for the FlightFactor/QPAC A450 as well as some modified cockpit textures packages. Check it out at our dedicated download page, but remember, only for registered users. Something in the making …. 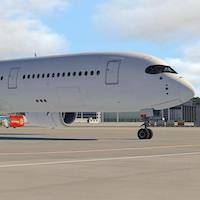 a A350 “Around the world” modified Carbon livery by, yes, you don’t believe it., myself. With the help of my good friends Leen de Jager, Marc Leydecker and Fabio Cabral, I’m busy … oh oh, a lot of work when you’re not so used with PS, with a repaint for this one.